A valve actuator is the mechanism for opening and closing a valve. Manually operated valves require someone in attendance to adjust them using a direct or geared mechanism attached to the valve stem. Power-operated actuators, using gas pressure, hydraulic pressure or electricity, allow a valve to be adjusted remotely, or allow rapid operation of large valves. Power-operated valve actuators may be the final elements of an automatic control loop which automatically regulates some flow, level or other process. 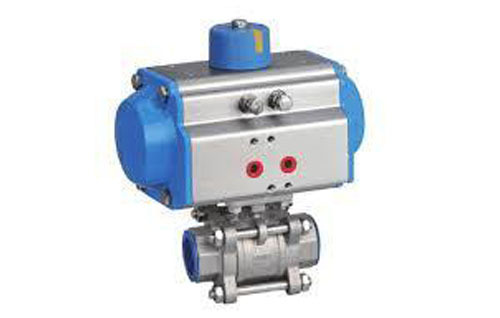 Actuators may be only to open and close the valve, or may allow intermediate positioning; some valve actuators include switches or other ways to remotely indicate the position of the valve. Used for the automation of industrial valve, actuators can be found in all kinds of process plants. They are used in waste water treatment plants, power lants , revineries, mining and nuclear processes, food factories, and pipelines. Valve actuators play a major part in automating process control. The valves to be automated vary both in design and dimension. The diameters of the valves range from one-tenth of an inch to several feet.